The central conceit of the game is that you (and up to three of your local co-op buddies) take control over one of four Urican, astral demons that are used to being the "top of the food pyramid." After three mysterious entities arrive and change the world, the demons must fight for survival and recover their precious food source: the crystals. So you'll take 'em all down by utilizing some impressive weaponry, like missile launchers, and whatever power-ups you can nab, like speed boosts and something called "Bullet Time." 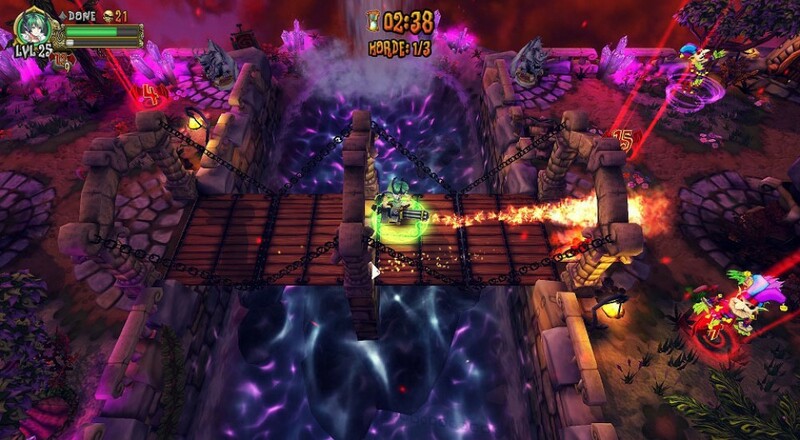 Demon's Crystals supports up to four players locally in the Arcade mode. The game is out now on PC via Steam for $4.99, and will be arriving Friday, May 12, 2017 on the Xbox One and PlayStation 4 for $4.99 as well. Page created in 1.1480 seconds.